CROSSED BATON threw his name into the Derby picture by winning Epsom’s Derby Trial . A race that John Gosden has now won six times, including in 2017 with Cracksman, CROSSED BATON always seemingly looked in command under Frankie Dettori when holding the late thrust of My Lord and Master and the fast finishing Dee Ex Bee. We were moderately impressed by the son of Dansili and duly shortened him to 25/1 (from 33/1) for the most famous Classic of the lot. John Gosden’s SEVENNA STAR looks a likely stayer on paper, being out of a 1m6f winning mare, so it bodes well that he was able to score over ten furlongs round Sandown Park, for all that it is a stiff course. Having made all to win by an incredible 14 lengths on his seasonal reappearance at Windsor, Frankie Dettori dropped SEVENNA STAR in at Sandown to teach him more about racing. 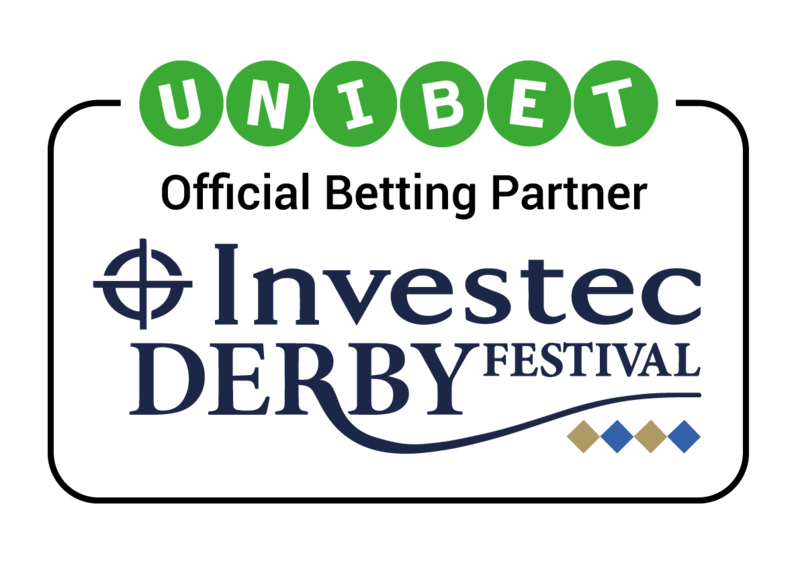 He needed every yard of the trip, and every inch of Sandown Park’s famously stiff finish, to get up in the shadows of the post but there’s no doubt he’ll have learnt a lot and we reacted by moving him from 33/1 into 25/1 for the Investec Derby. SAXON WARRIOR might not have looked the Ballydoyle first string heading into the 2000 Guineas but there’s no doubt about who the best horse in the race was after he ran out an emphatic winner. Bred on a Deep Impact – Galileo cross that would suggest he will stay further, we duly clipped SAXON WARRIOR into evens favourite following his 1½ length success in the first Classic race of the season. Already a dual Group 1 winner over a mile, if he does stay the extra half furlong he very much looks the one to beat at this stage. A great big brute of a horse, and one that’s learning on the job too, YOUNG RASCAL was impressive in the Chester Vase. Having just his 2nd start he gamely outbattled De Ex Bee (3rd in the Epsom Derby Trial) inside the final furlong to maintain his unbeaten record. Owned by Bernard Kantor, MD of Investec, you can bet your bottom dollar his owner will be pushing for YOUNG RASCAL to run in the Investec Derby. He deserves his place in the line-up too and our traders were suitably impressed with his performance, trimming him from 33/1 to 14/1. YOUNG RASCAL puts himself in the Investec Derby frame after winning the Chester Vase nicely! He's now a 14/1 shot for the Epsom showpiece. Kew Gardens was the only horse punters wanted ahead of Saturday’s Lingfield Derby Trial but it was Harry Dunlop’s KNIGHT TO BEHOLD who ran out a convincing winner, making most to score by over 3 lengths. Whether he was the best horse, or was simply allowed to steal it under an enterprising ride by Richard Kingscote, is up for debate but Dunlop, whose father won the Derby twice, was adamant his charge would improve for the run. If that is the case he looks to be a lively British trained contender for the most coveted classic of all and our traders agreed, cutting him from 50/1 to 25/1 in the aftermath of the race. Leopardstown’s Derrinstown Derby Trial looked certain to be going the way of Aidan O’Brien, who went into the race with the first three in the betting – The Pentagon, Nelson and Delano Roosevelt – as well as a quite staggering record of 11 wins in the past 20 renewals of the race. However, it was Dermot Weld’s HAZAPOUR, from the family of Harzand, who triumphed earning quotes of 14/1 (from 50/1) for June’s showpiece at Epsom. Interestingly O’Brien has suggested that both The Pentagon and Delano Roosevelt could still be bound for the Derby despite defeat and both he and Dermot Weld expect improvement from their steeds.